The FA Cup represents possibly Manchester City’s best hope of silverware this season, and knowing that, Pep Guardiola is sure to treat tomorrow’s game against Huddersfield Town seriously. However, he also has to consider that the match against a scary-looking Monaco is days away, meaning there will be some rotation at the John Smith’s Stadium tomorrow. So how does Pep mix things up without underestimating a Huddersfield side in great form, a Huddersfield side that could well be playing City twice next season in the Premier League? There is much to consider and it is difficult to predict exactly what XI he will start with tomorrow. Pep confirmed in today’s press conference that Gabriel Jesus’ operation (on a broken fifth metatarsal) was a success and the Brazilian sensation will be back “in two or three months, we’re not sure exactly.” Jesus’ absence is undoubtedly a big blow to Guardiola and the rest of the squad. There was a lot of hype around the 19-year old’s January arrival and rightly so to be honest, but few expected him to have the very immediate impact that he has. Along with Leroy Sané, he’s completely transformed our attacking play and will be a big miss over these next few months as the fixtures inevitably pile up. However, as is always the case in football – as one door closes, another will open. Enter Sergio Aguero. The 113 Premier League goal striker. Not a bad replacement, eh? But in all seriousness this is a massive chance for Aguero. It’s become eminently clear over the last couple of weeks that there’s a very real possibility he could go in the summer, and so this two/three month period as the undisputed number one striker could be absolutely crucial. There have been glimpses (notably vs. Barcelona and West Brom) that Aguero can play Pep’s way, but only glimpses. Now Jesus is injured though, Kun has a real chance to prove that he can be Guardiola’s number nine. Pep to ring the changes? With a crunch Champions League knockout game vs. Ligue 1 high-flyers Monaco on Tuesday you’d expect a few changes to be made, and Pep confirmed as much on Friday morning. 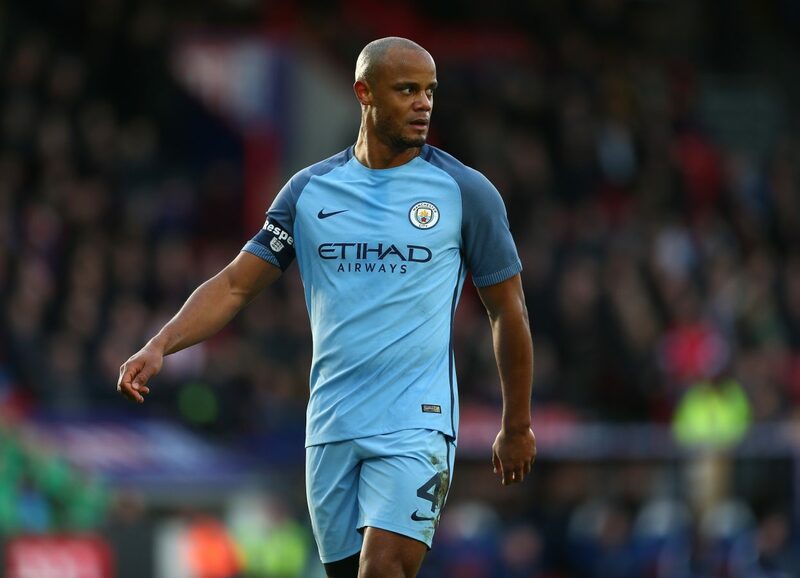 Vincent Kompany is likely to come back in for his first match since last round’s tie at Selhurst Park – his first ninety minutes of 2017. It’s been a little strange that Pep hasn’t called on Kompany in our last two games but I don’t think there’s any doubt that Kompany will play on Saturday. As for the others, I think we’ll see Fabian Delph from the start – probably alongside Fernandinho as Yaya needs a rest. 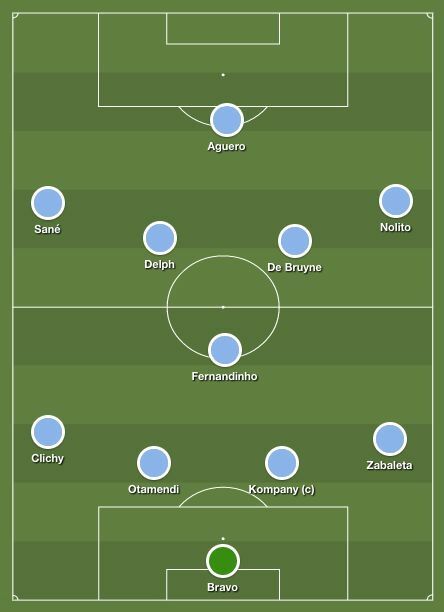 Otamendi, Zabaleta and Clichy should all return in defence whilst I wouldn’t be surprised to see Nolito come in for one of Sterling/Sané. Of the two, Sterling has played more football so I’ll go for him. Sané has missed large parts of the season through injury so should still be fresh. Pep’s big choice is whether to play Aguero with Monaco only three days later. My guess is he will. Kelechi’s disappeared into the abyss in recent weeks and Aguero can only benefit from more minutes on the pitch, especially with such a big game on Tuesday.